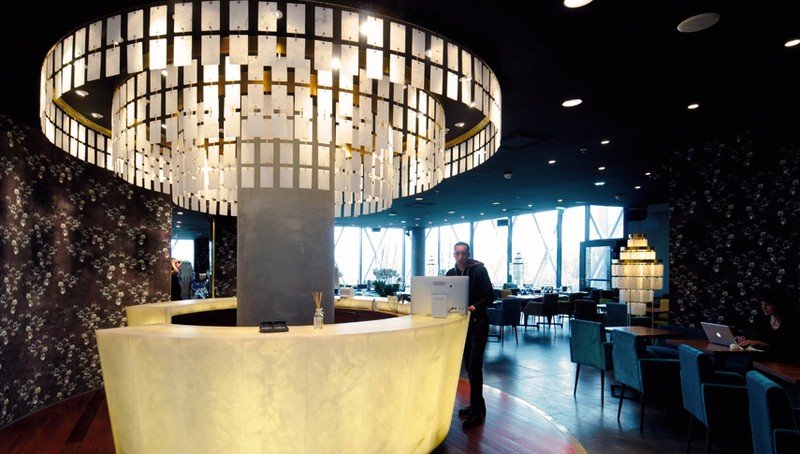 In this celebrated Parisian restaurant, the circular reception in crystal alabaster sets the tone of its renovation as soon as you enter. The chandelier, designed by Guillaume Roger and composed of dozens of sheets of alabaster, majestically dominates this reception area. Several other pieces of alabaster interact harmoniously with the wood and the bronze. Nearly 100 alabaster spheres installed in the function room make it very appropriate for parties and other events.